The WiFi connectivity on my Windows 10 laptop was working fine until I went to bed. When I woke up and connected my laptop to the WiFi again, it wasn’t connecting. It was showing “Secured, No internet” error. I ran Windows troubleshooter just to find another error “Wi-Fi doesn’t have a valid IP configuration” error that Windows troubleshooter was unable to resolve. After a bit of brainstorming, I was able to resolve the issue and connect to the internet. This error in Windows 10 can be caused by several reasons including incorrect or corrupted network settings, outdated drivers, etc. 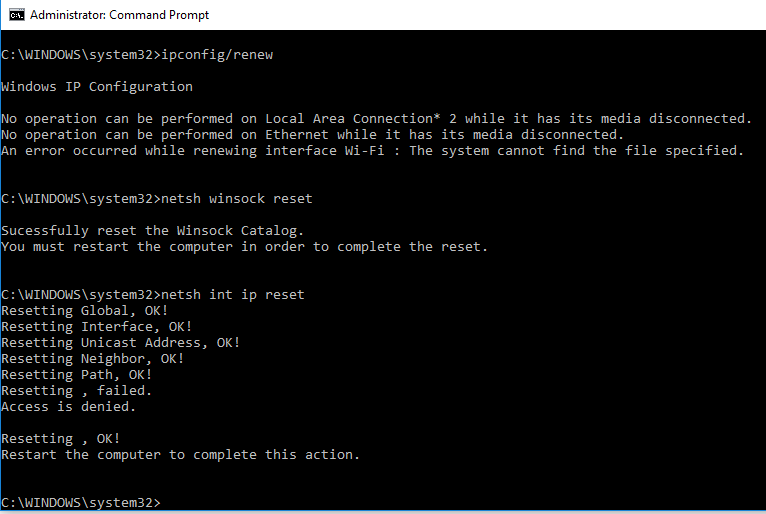 What worked for me was to reset the TCP/IP network configuration through the command prompt. However, I have also listed other fixes just in case my fix doesn’t work for you. Let’s begin with the first solution that worked for me. You need to enter a few commands in the command prompt and restart your PC. If everything goes right, you should be able to connect to the WiFi and fix the problem. Open the command prompt as administrator. To do this, right-click on Start and select Command Prompt (Admin). 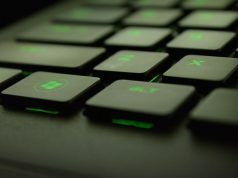 You need to restart your computer before the changes can be applied. So, restart your computer and check if the issue is resolved. You can try to release and renew the IP configuration to fix WiFi doesn’t have a valid IP configuration problem. All you have to do is type two commands that would release and renew the IP configuration respectively. Here is how to do it. Close the command prompt window and check if the problem is fixed. If you have several computers at home or office connected to the same WiFi network, then you can try to assign an IP address to fix this problem manually. To manually set a IP address do the following. Open Control Panel and go to Network and Internet and then open Network and Sharing Center. On the left side, select Change adapter settings. 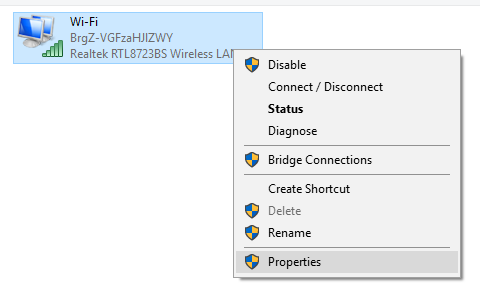 Right-click on your WiFi connection and select Properties. 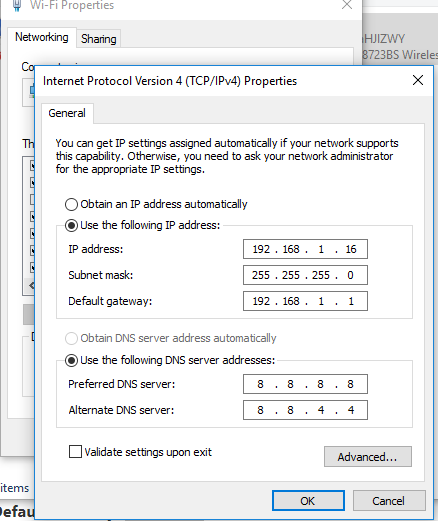 Select Internet Protocol Version 4 (TCP/IP) and click the Properties button. Select Use the following IP address option. If none of the above-mentioned solutions fixed the issue, then you need to uninstall the WiFi adapter driver and reinstall it. Some users have reported this to be as a working solution. Under Device and Printers click “Device Manager“. 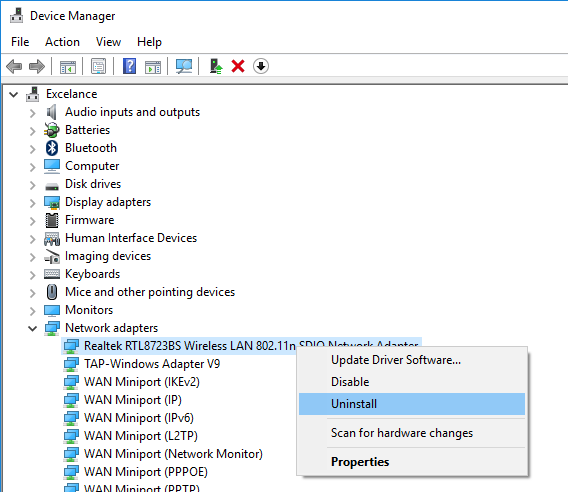 Expand Network adapter category and right click on Wireless Lan device and select Uninstall. Click OK if asked to confirm the decision to delete the driver. Restart your PC and open Device Manager again. 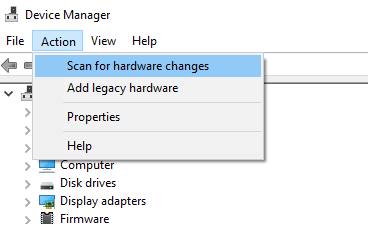 Click Action and select Scan for Hardware changes. Now the PC will scan and reinstall the WiFi adapter driver.